I don't normally post about food on my blog, but I was accepted into the Orville Redenbacher Influenster campaign, and one of the bonus tasks was to complete a blog post. So, here is my post! 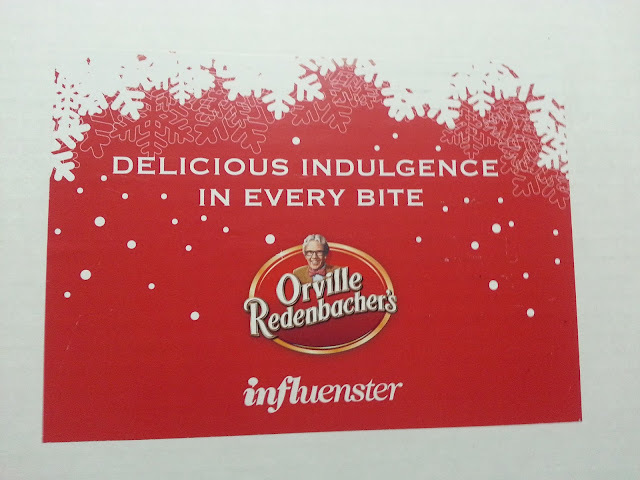 My VoxBox actually came just before Christmas, and I had actually seen some advertisements before this campaign opened. I was hoping that it would be for this flavour! "We've always been about quality. In fact, we're a little obsessed with it. Take our premium Caramel & White Cheddar popcorn. 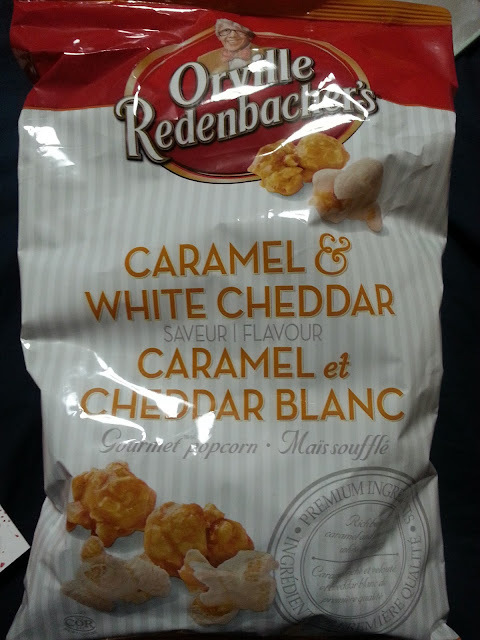 It has the light, fluffy texture you know and love - with rich, buttery caramel and premium white cheddar to heighten the experience"
We were sent a full size bag of Caramel & White Cheddar. Now, I've just recently discovered Chicago mix popcorn, which is caramel & cheddar popcorn. So the spin of white cheddar was different to me. I wasn't really sure what to expect. The popcorn was big and fluffy. 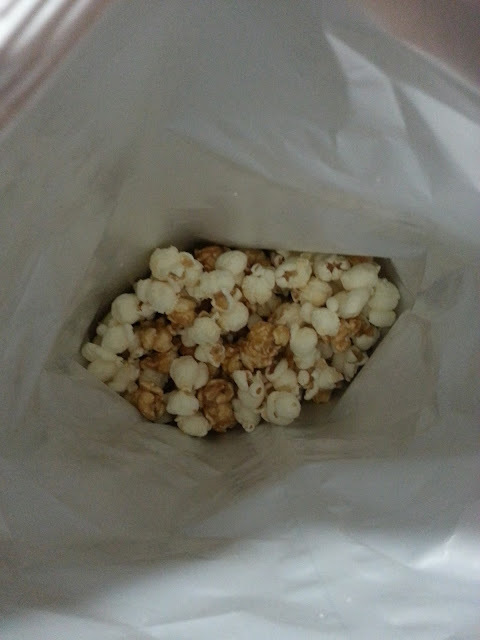 The only downside was that the bag was only a quarter full. I'm not sure if this is because they sent these as promotional bags, or if this is actually what you get when you buy one at the grocery store. I would be upset if I payed full price for this, and this was all I got inside the bag. 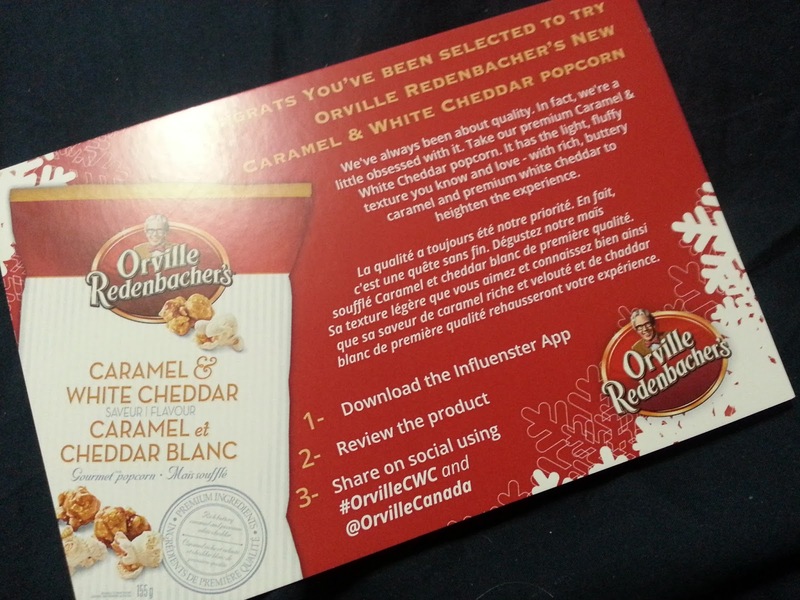 The flavour actually worked well for the Caramel & White Cheddar. It was sweet, it was salty, it was also creamy. It was delicious! It was good when you got a piece of each flavour because they went really well with one another. I would say that I do kind of prefer the orange cheddar flavour, but this would definitely curb a craving for Chicago Mix style popcorn! This didn't last long in my household at all. We all enjoyed it!